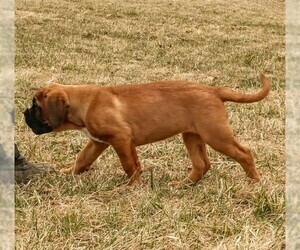 Beautiful AKC Dogue de Bordeaux male puppy out of Bella x Radar litter. Family raised and well socialized. Puppies will be ready to go after Jan. 18 pending a healthy vet check. For more info, contact us. Located in Central Ohio. Items Included: Puppies will be vet checked and current on vaccinations and wormings. 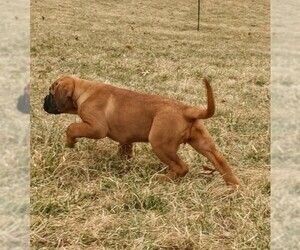 Radar is the sire of the puppies, he is an outstanding male from European bloodlines.He is deep, dark red color and a great representation of the breed. Bella is a dark red female with a great disposition. Sire is an AKC champion with a great pedigree. Overview: The Bordeaux Dog has been used for big game hunting and cattle driving since the 1100s. This breed is good for protection and as a pet for the right owner. Colors: Any shade of fawn, can or can not have black or brown mask. Character: Bordeaux dogs is strong, intelligent and loyal. Temperament: Bordeaux dogs get along with children and other pets, when raised together. They don't get along with other dominant breeds. Care: The Bordeaux dog needs only an occasional bath and brushing. Training: Bordeaux dogs need consistent, gentle, respectful training. They are best owned by people with experience with dominant dog breeds. Activity: Bordeaux dogs need to be walked a few times each day. 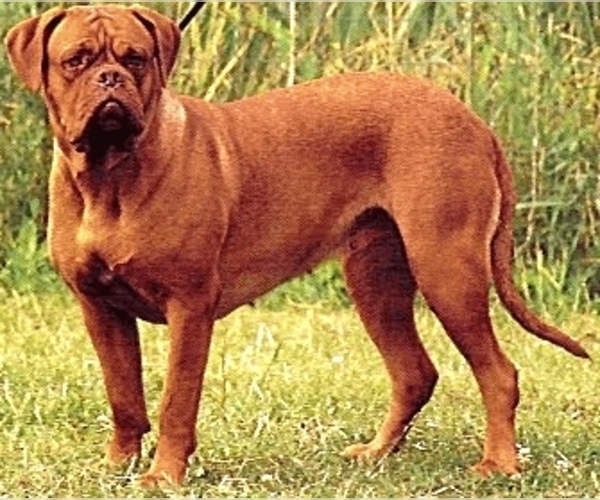 Posted Breed: Dogue de Bordeaux. 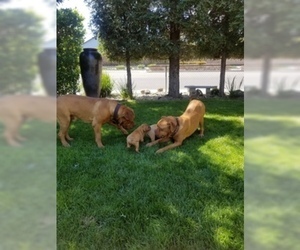 Posted Breed: Dogue de Bordeaux (short coat).